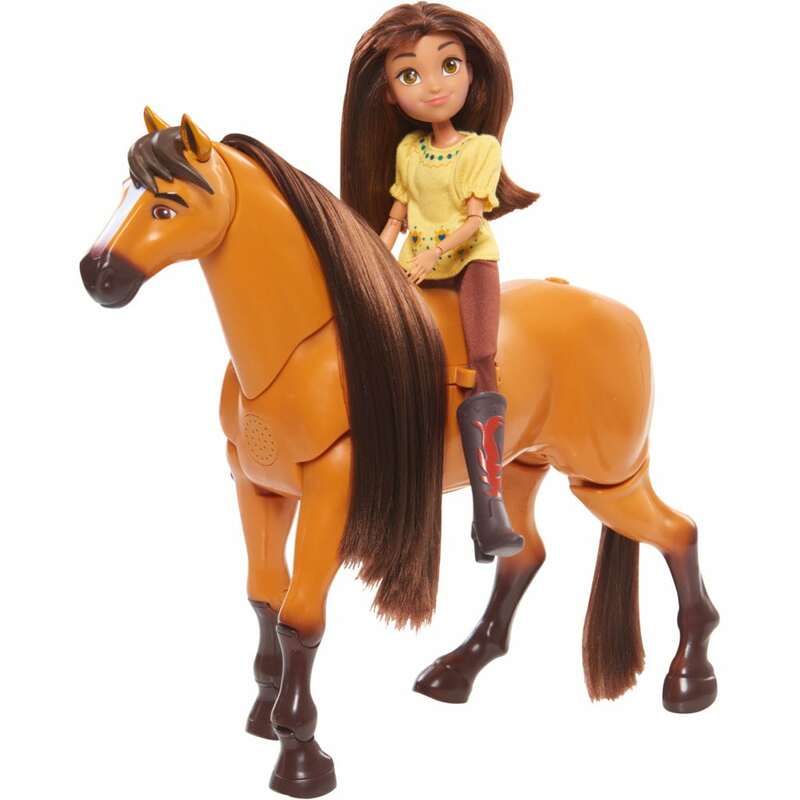 Meet the brave and adventurous Lucky and her wild mustang, Spirit from the Netflix original series, DreamWorks Spirit Riding Free, which follows the exciting adventures of three best friends and the horses they love. The Spirit Riding Free Deluxe Spirit Walking Horse introduces Lucky and Spirit for an action-packet play experience. The 14” Spirit horse comes to life with realistic sounds and movement and has built in stirrups to hold Lucky’s legs so she can really ride Spirit as he walks.